How do I Prepare My Filter for its First Use?? Do I Need to Clean My Blue Bottle Filter? Yes. 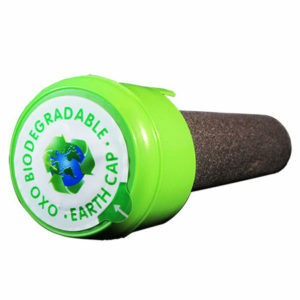 You should rinse your filter, cap, and bottle at least every other refill as a precaution. The chlorine/chloramine content of your tap water should be enough to prevent any algal or bacterial build up but once a filter is contaminated it must be disposed of. This is especially important in warmer environments. What do I do if My Filter Dries Out? Your filter should be flushed under slow flowing, cool tap water for ~45s from the inside out. 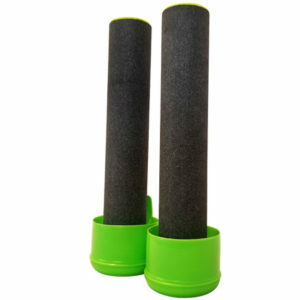 Flushing will clear the majority of air from your filter and restore normal filtration rates. If your filtration rate still seems slow simply repeat as some micropores may be hard to clear of air. What can I Filter with the Blue Bottle Filter? This filter assembly was designed only for use with municipally treated water (tap water) or other regularly tested potable water sources. Do not use with well water or other questionable sources such as rivers or streams. Contact with hot water (100°F or more) may cause your filter to be less effective. If your water dispenser provides hot water, that is fine. Your dispenser will heat the water AFTER it has passed through the filter. What Should I do if My Filter Breaks or Cracks? If your purchase is still under warranty (14 days from delivery) contact our Customer Support and we’ll work to resolve the issue right away. If you are not under warranty you can choose to replace the filter or patch your filter with any NSF 61 approved sealant. **Please note that patches may reduce the effective lifespan of your filter. Does My Filter have a Warranty? Yes. We offer a free replacement for all defects in materials or workmanship for the first 14 days from delivery. In addition, we offer another 14 days of conditional replacement. Contact Customer Support to begin either process. Essentially, if you throw the filter around and break it, we believe that was your choice. If it breaks because of something we did, we’ll be happy to replace it (and will probably slip in a coupon for your next filter as well to say sorry). How Many Gallons of Water can the Blue Bottle Filter Filter? 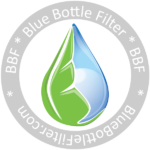 A single Blue Bottle Filter is recommended for 120 gallons or six months of use. We know you knew that from our other pages but couldn’t believe such an amazingly high number so you just wanted to check again. It’s ok. That’s 24 blue 5-gallon jugs of water. A double pack will last you 48 refills. How Many Months will a Blue Bottle Filter Last? We recommend using the same filter for no longer than 6 months or up to 120 gallons, whichever is first. If you drink 20 gallons of water per month, you’ll be right on schedule. How Does the Blue Bottle Filter Work? How Do I Refill My Blue Water Jug? 2. Set the BBF assembly aside (somewhere clean! ), and fill your blue water jug with tap water. a. Tall or pull-out faucets, water hoses, and even bathtubs work great. 3. Rinse the BBF Assembly under cool running water. 4. Press the assembly, filter down, back into the bottle until the cap is secured. Where can I Buy a Blue Bottle Filter? Currently the BBF is only available on this site although we hope to be in stores near you soon! *Price of $0.10/gallon reflects average lifespan of 120 gallons per filter at the current sale price of the Blue Bottle Filter 2-pack.